Colorado Springs mourned when its founder, General William Jackson Palmer, died in 1909. But what happened to Glen Eyrie – his beautiful and beloved home next to Garden of the Gods – before The Navigators purchased the property in 1953? 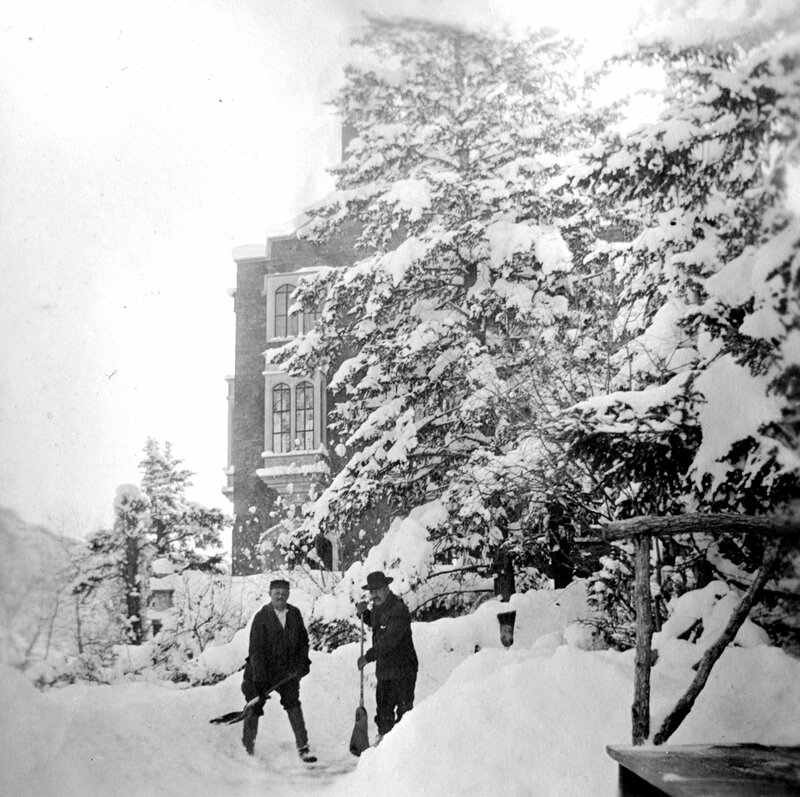 This historic photo shows two servants who lived on Glen Eyrie shortly after General Palmer’s death in 1909. Photo courtesy of Susan Fletcher. This tempestuous period in Glen Eyrie’s history is filled with colorful characters, natural disasters and schemes, including a real estate scheme that would have put both Glen Eyrie and Garden of the Gods at risk, plus the gold-digging schemes of a wealthy man’s girlfriend and (briefly) wife. Join The Colorado Archaeological Society's Pikes Peak Chapter to learn about a surprising era of this historic property.